For better or worse…till she hid the TV aerial! At some point over the next few weeks a letter will arrive at Susan Rae’s home spelling out in cold bureaucratic legal terms the end of her 20-year marriage. The decree absolute, requested by her university academic husband, is a document she hoped she would never see. The mother-of-two, from Northampton has spent nearly two years desperately fighting Doug Rae’s attempt to divorce her, insisting their marriage is worth fighting for despite years of rows. ‘I believe that marriage is for life,’ she says. ‘I still love my husband. We have two sons. We are a team. I just want him to come home. This week, the 50-year-old former WPC cut an extraordinary figure at London’s Court of Appeal, where she made a last-ditch effort to stop the man she still loves ending their church union. There, in front of Lord Justice Thorpe, the couple’s torturous domestic dramas were laid bare, with Susan denying that her ‘unreasonable behaviour’ was to blame for the breakdown of her marriage and arguing that examples given by her husband were nothing more than the ‘minor squabbles’ which take place in any marriage. She claimed she was perfectly justified in removing the fuse from the family washing machine to prevent her husband from doing the laundry after he regularly ruined her clothes. Similarly, she argued, there was nothing wrong in throwing away a packet of non-organic ham he had bought to make his sons’ packed lunches. Meanwhile, Mr Rae, assistant dean at the University of Northampton, said his wife also hid the television aerial to stop him watching his favourite programmes. Perhaps not the most dramatic of altercations — and some of us may shudder with recognition — but enough to drive Mr Rae to move out of the family home, and into the arms of another woman. Susan, on the other hand, is apparently unable, or unwilling, to let go. Interesting saga! 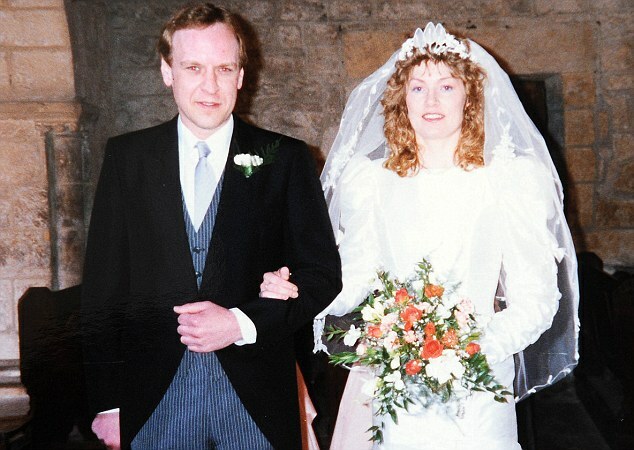 But apparently her appeal in the case of Rae V Rae, which was ultimately rejected by Lord Justice Thorpe this week, also raises pertinent questions about the state of modern marriage and the increasingly arbitrary nature of divorce in Britain today.